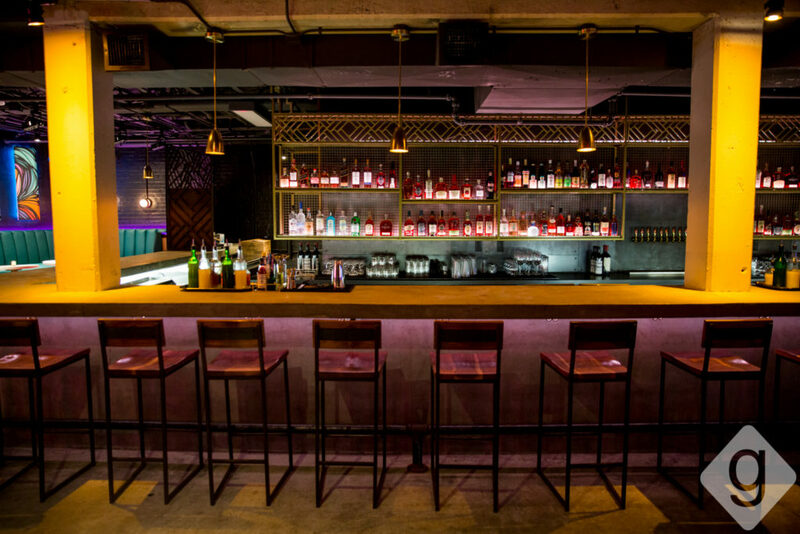 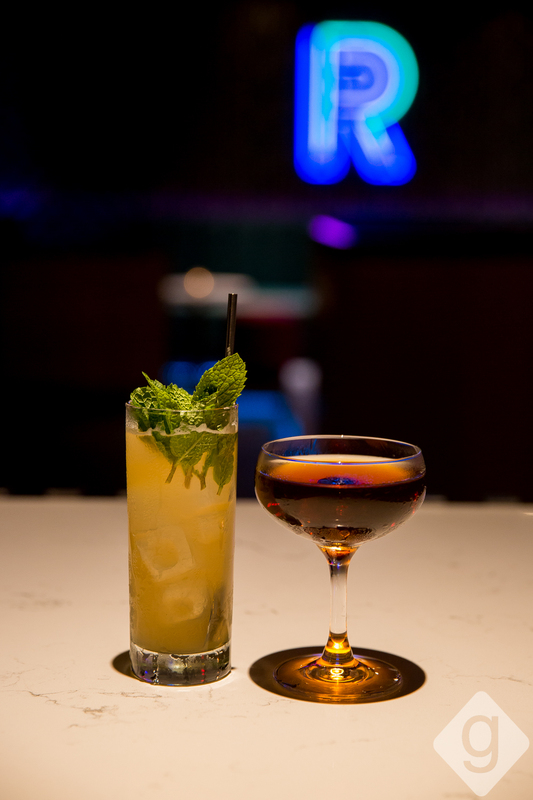 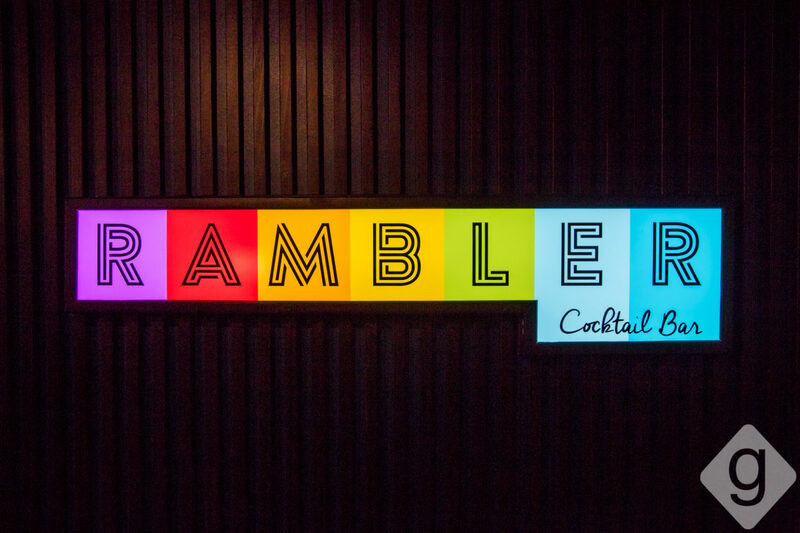 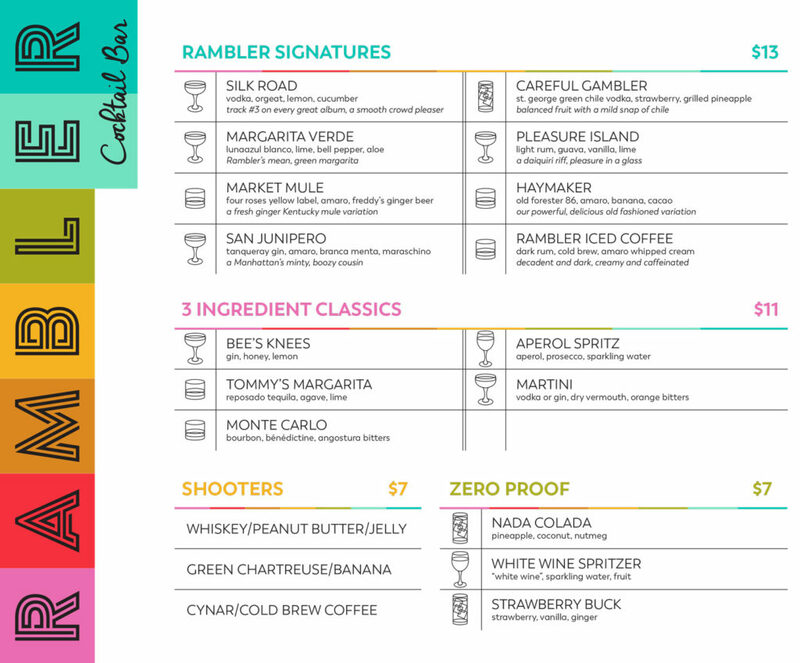 Rambler, a vibrant underground cocktail bar, officially opened on Tuesday, September 25, 2018. 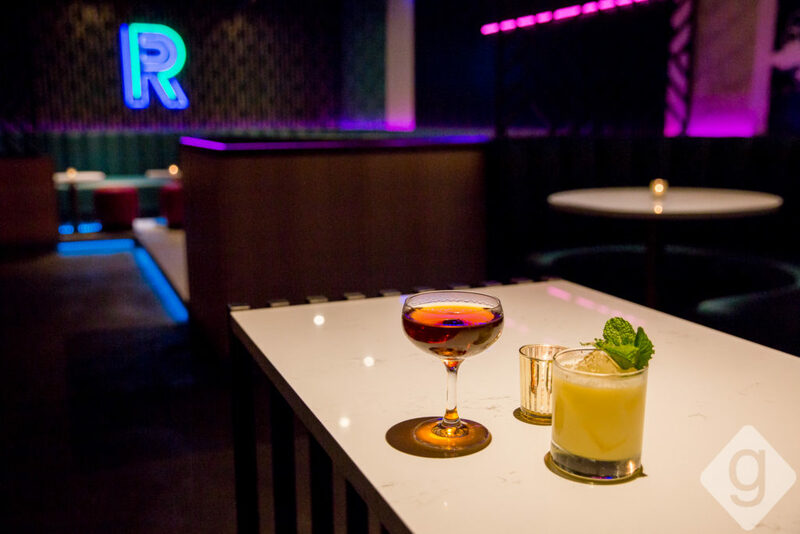 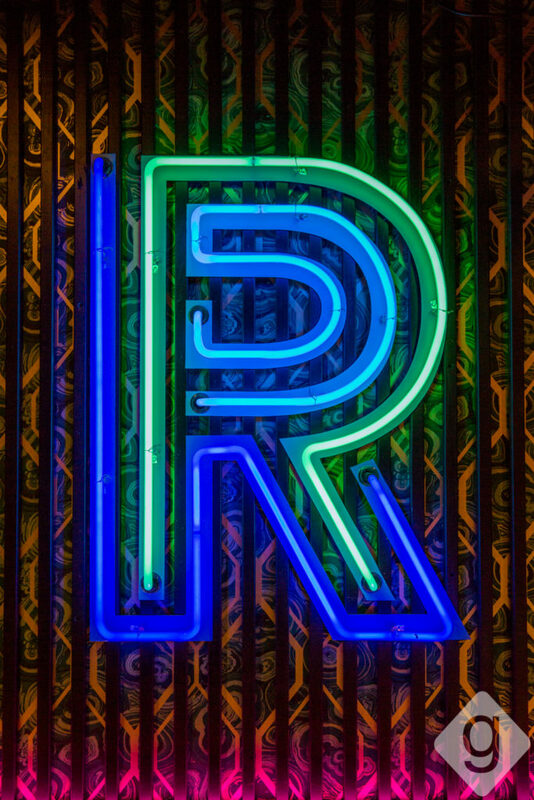 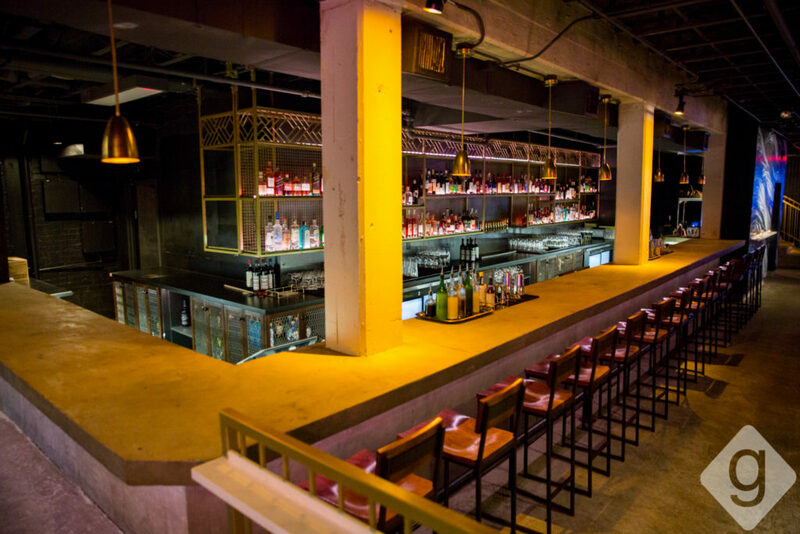 Rambler was previously The Sutler’s cellar, but the reimagined space now has its own stand-out identity, including an electric atmosphere and a thoughtful cocktail menu. It’s the latest concept from A.Ray Hospitality, the team behind M.L.Rose, Von Elrod’s, and the two connected properties, The Sutler (upstairs) and Melrose Billiards (adjacent). Nashville Guru got a look inside. 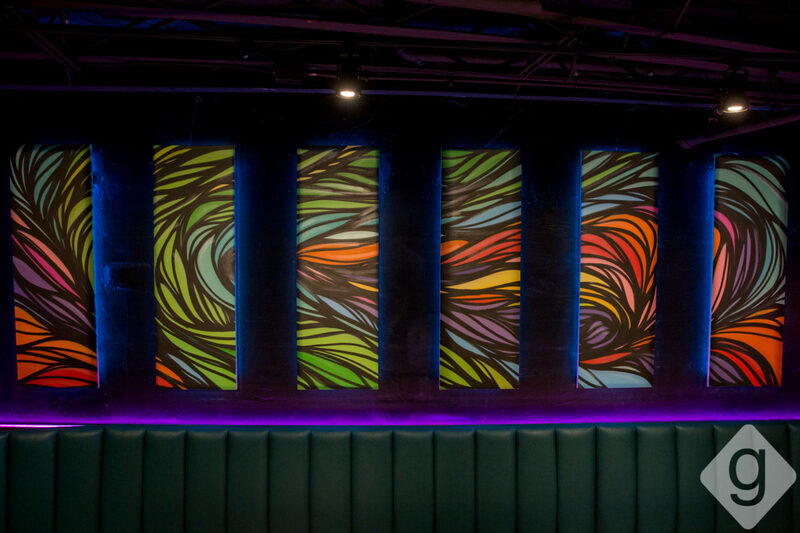 Rambler’s colorful room features creative works by Nathan Brown, Ola Subomi, and Remick Moore Architects. 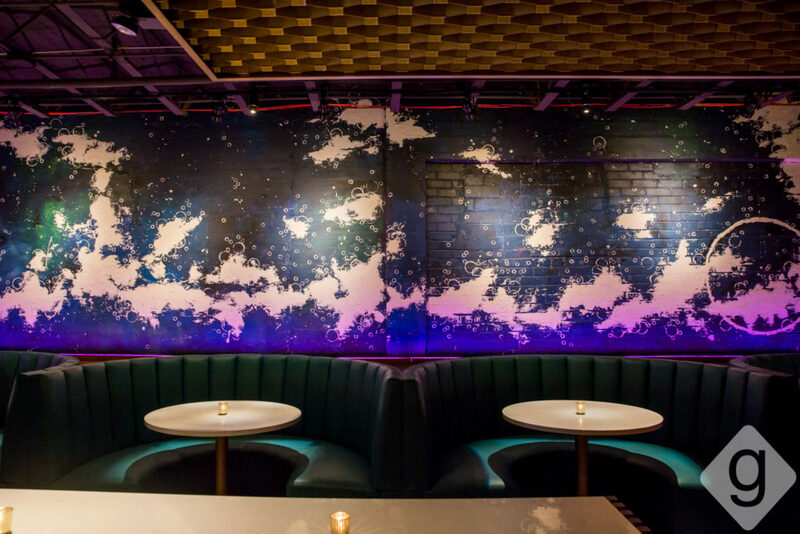 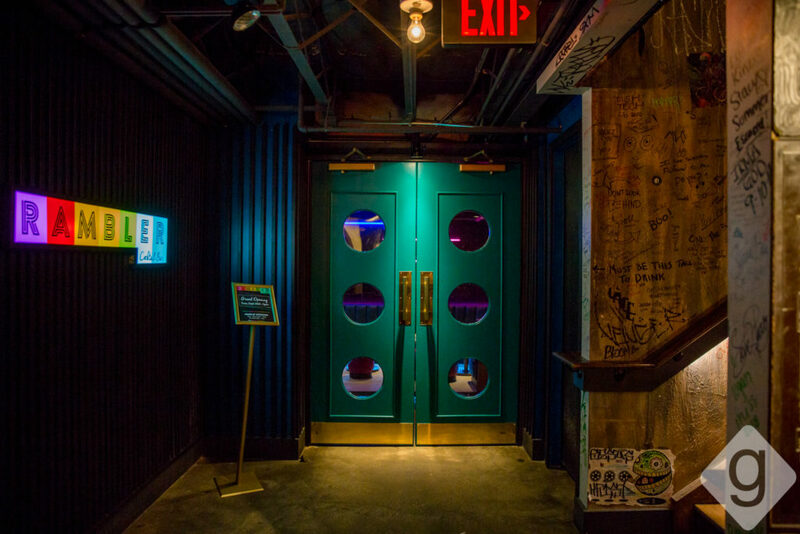 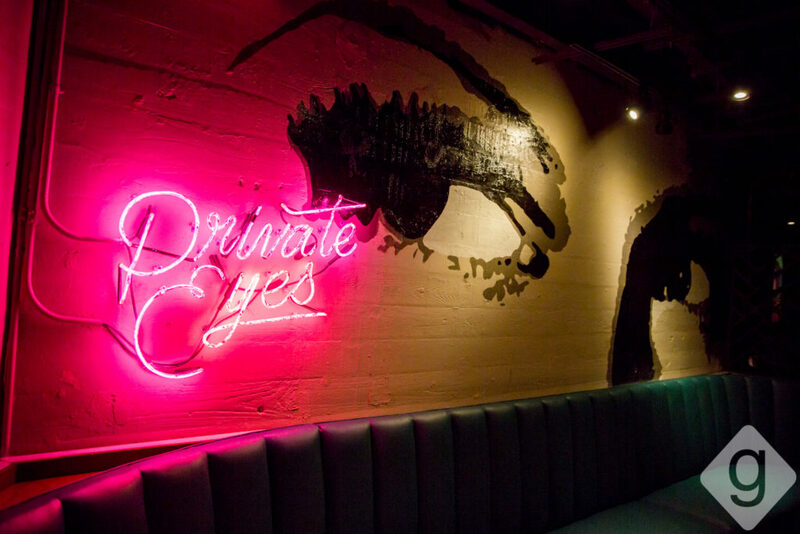 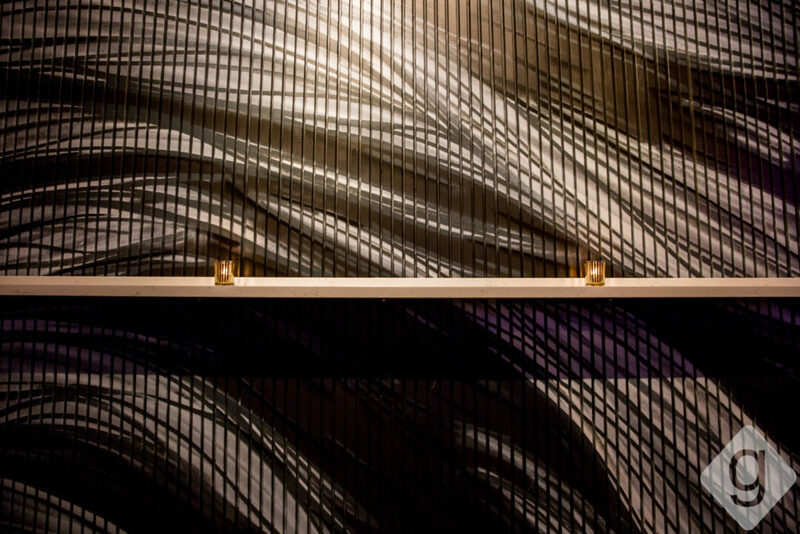 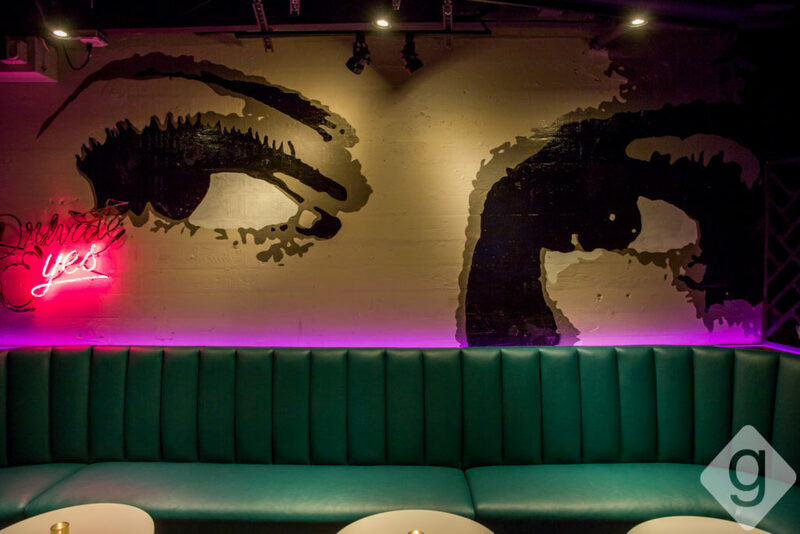 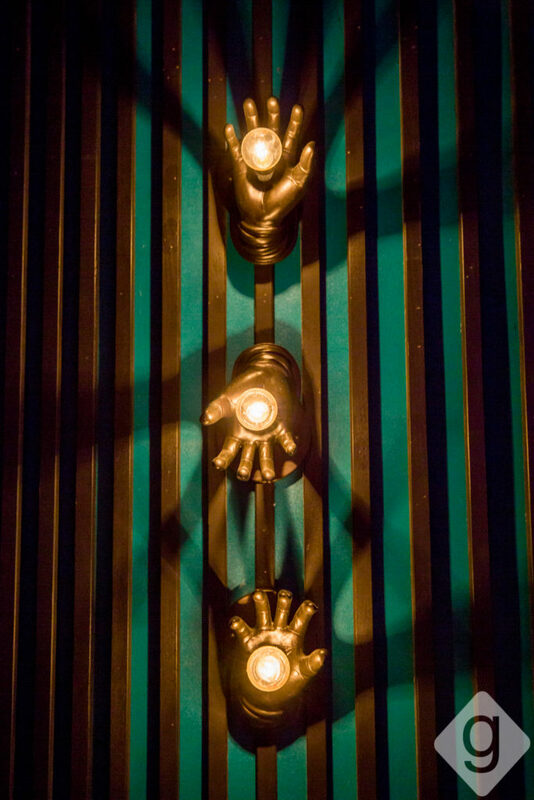 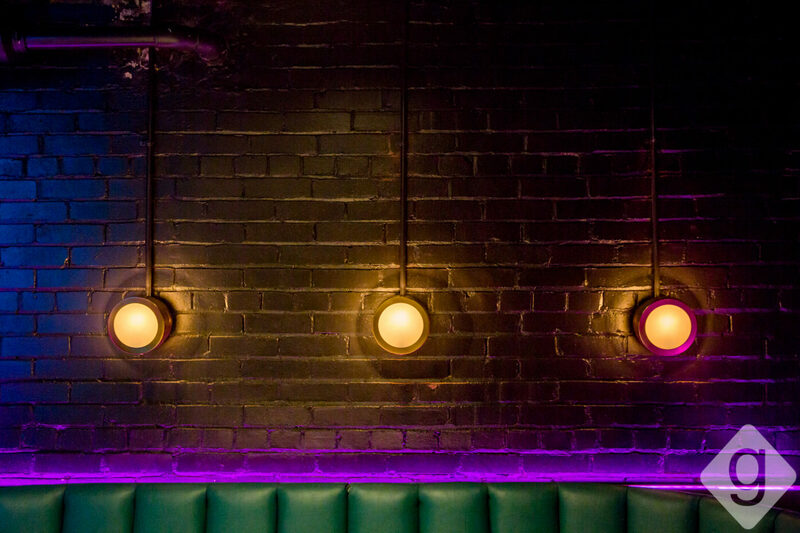 The walls are adorned with neon lights, murals, and intricate art, lights, and textures. 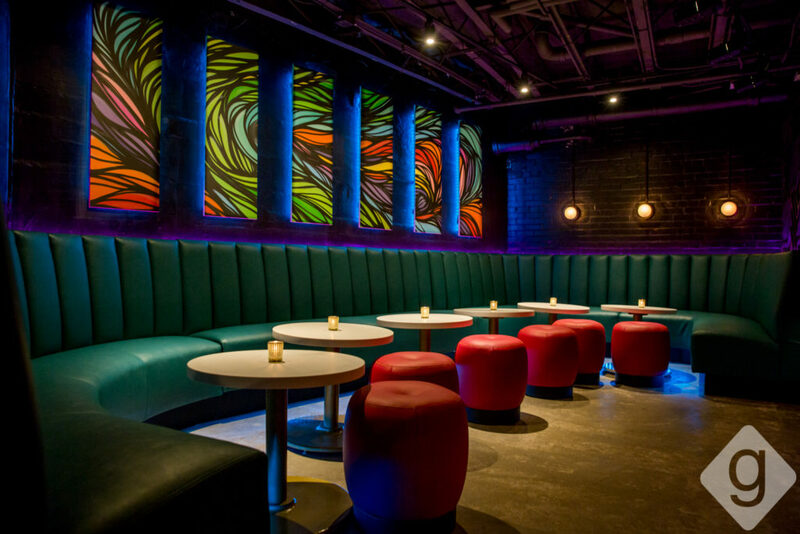 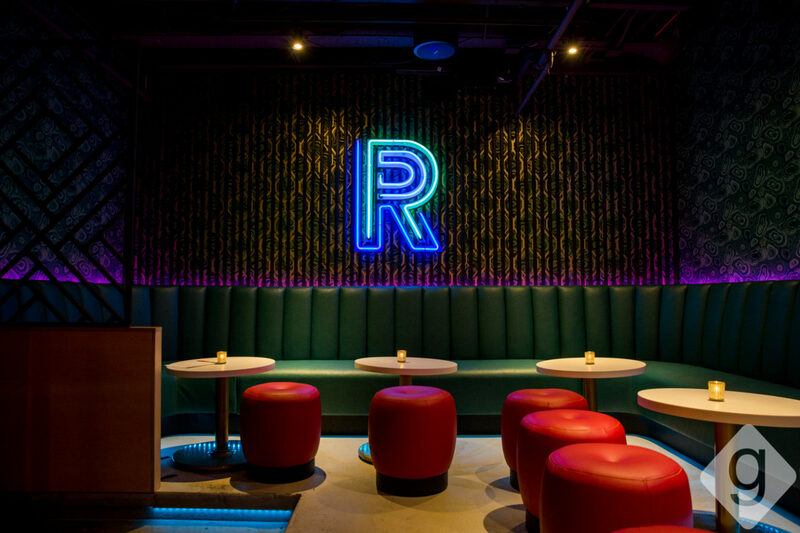 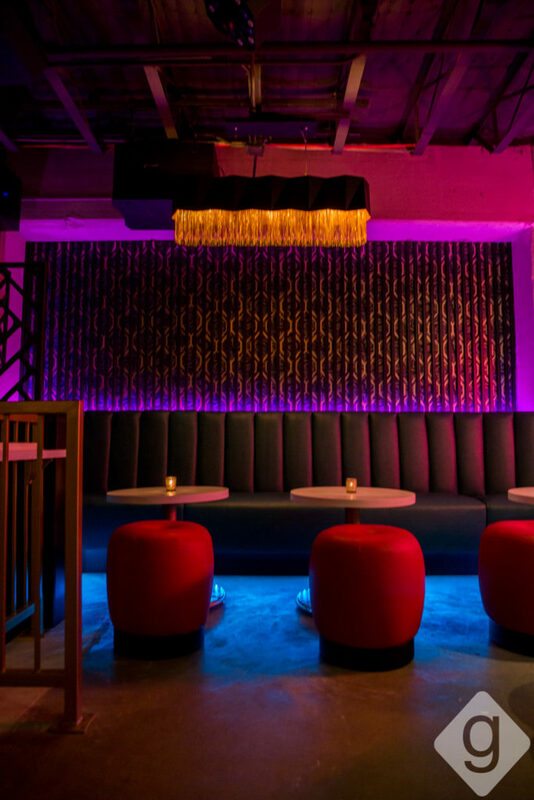 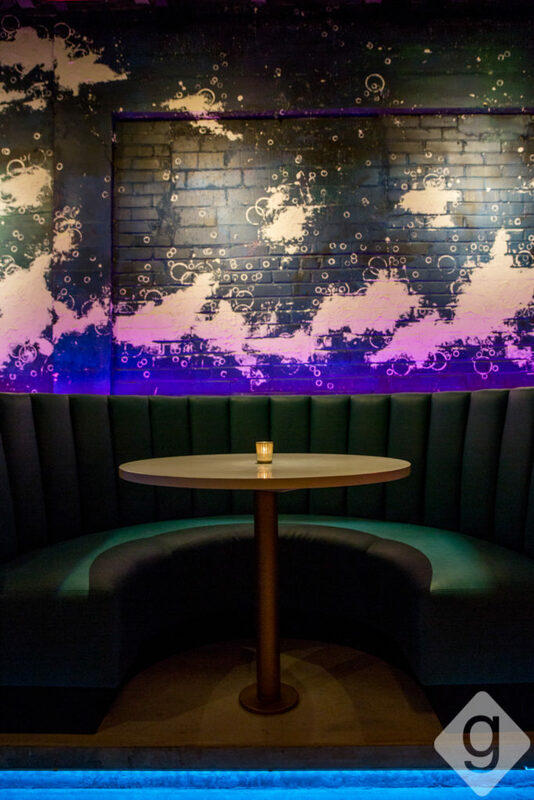 Whether you have a party of two or 10, Rambler’s seating options—including plush booths and funky red stools—are accommodating for groups of all sizes. 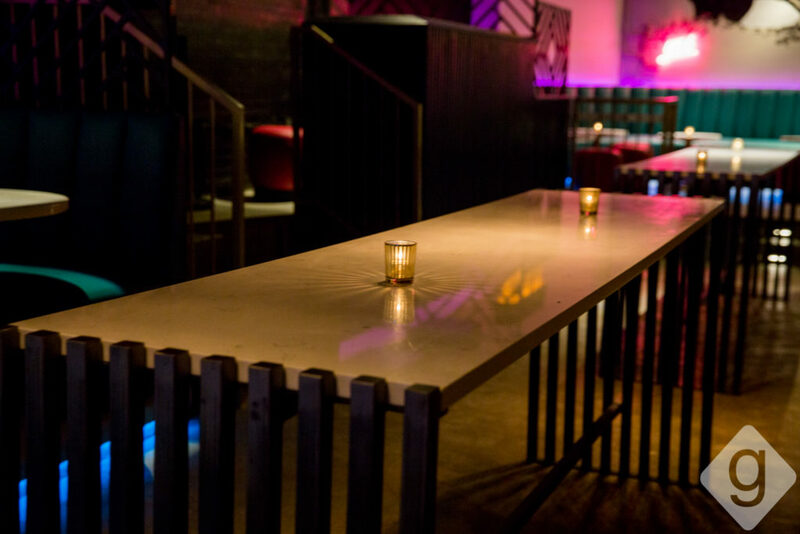 If you can’t get a seat, though, you can grab a spot at one of the long standing tables. 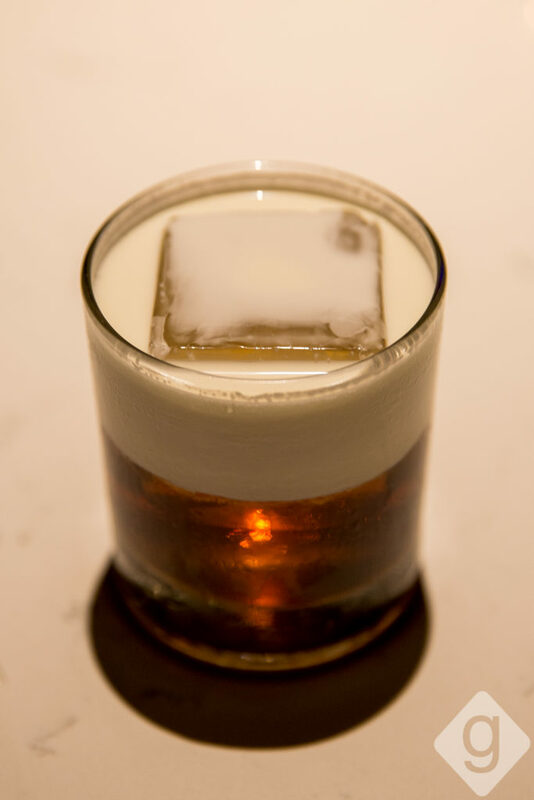 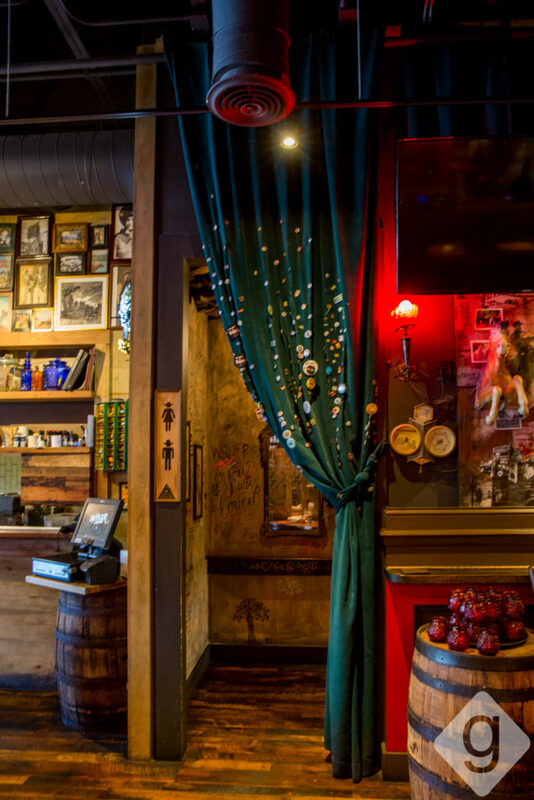 Since Rambler is located beneath The Sutler, their playful slogan is “hard to find, easy to love.” You can enter Rambler through Melrose Billiards or The Sutler, but The Sutler is a smoother entrance. 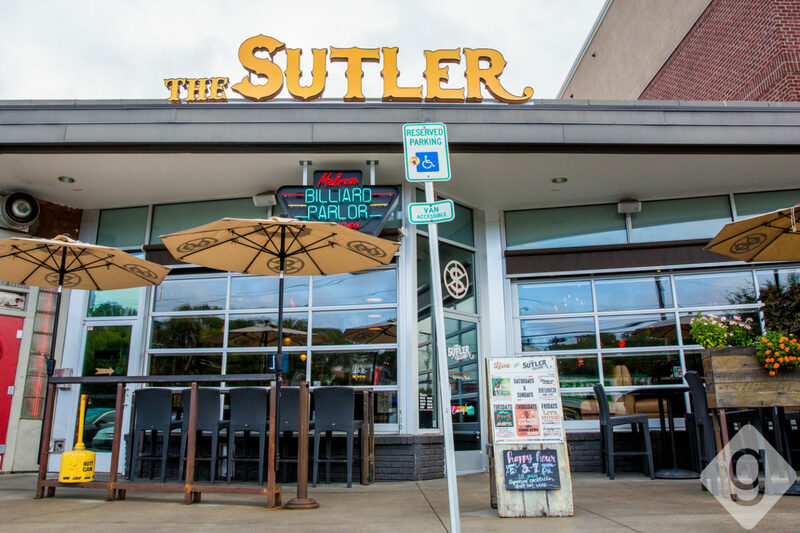 Enter through The Sutler’s door, then find the curtain past the kitchen. 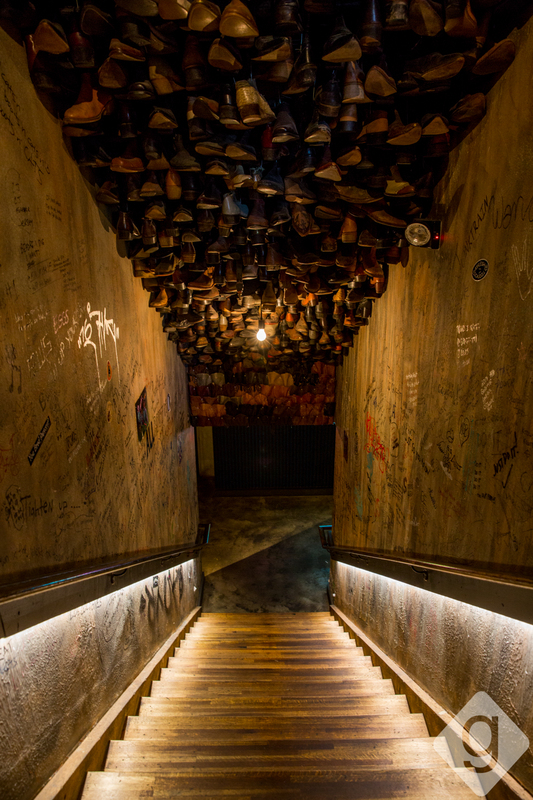 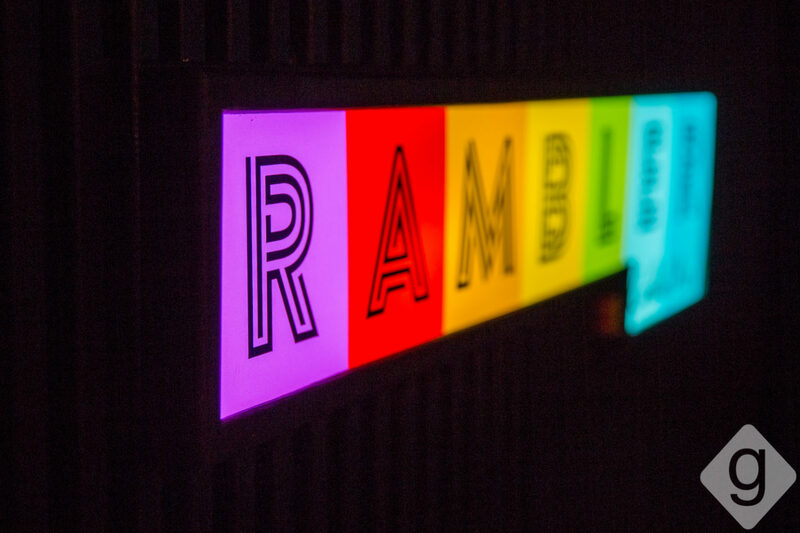 Make your way down the boot stairwell, and you’ll see the sign for Rambler once you reach the bottom. 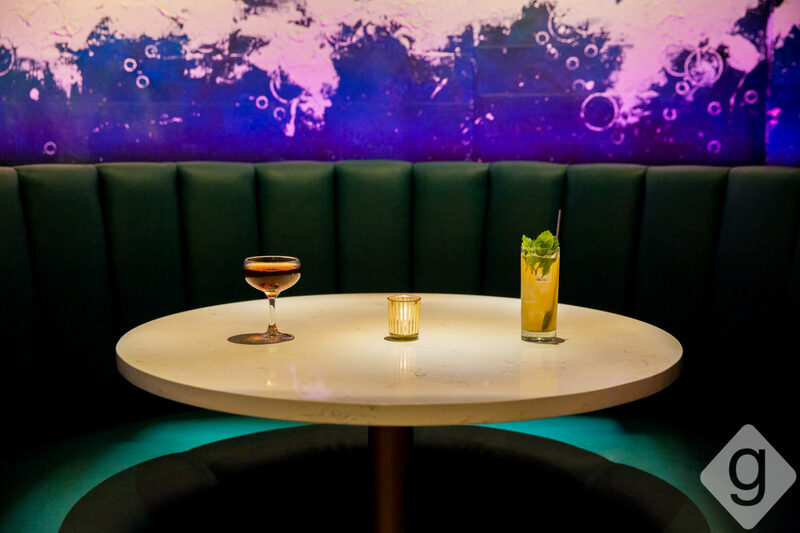 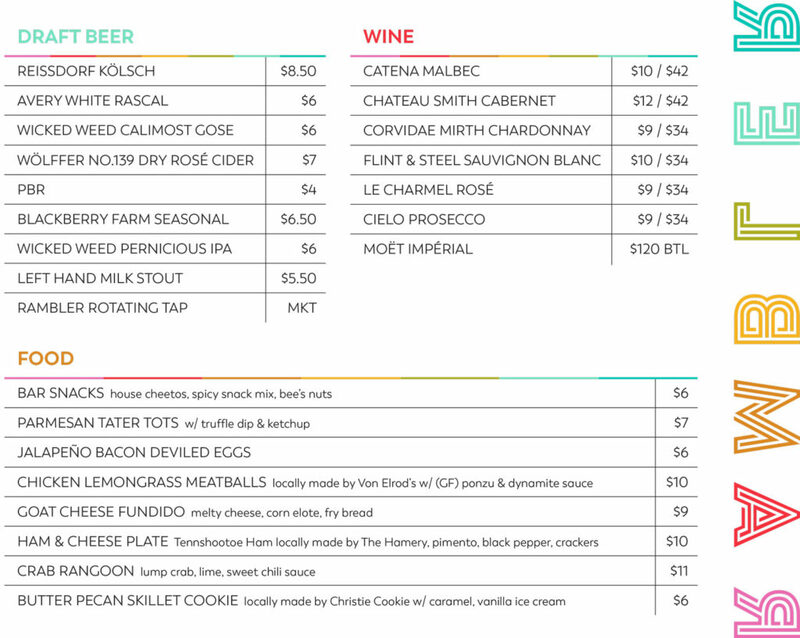 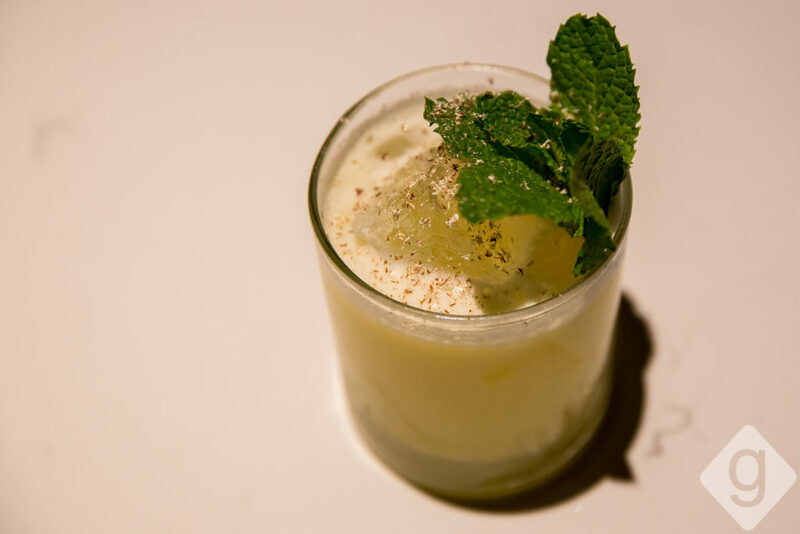 With a cocktail program created by Freddy Schwenk and a food menu by Jason Brumm, you won’t be disappointed with the offerings. 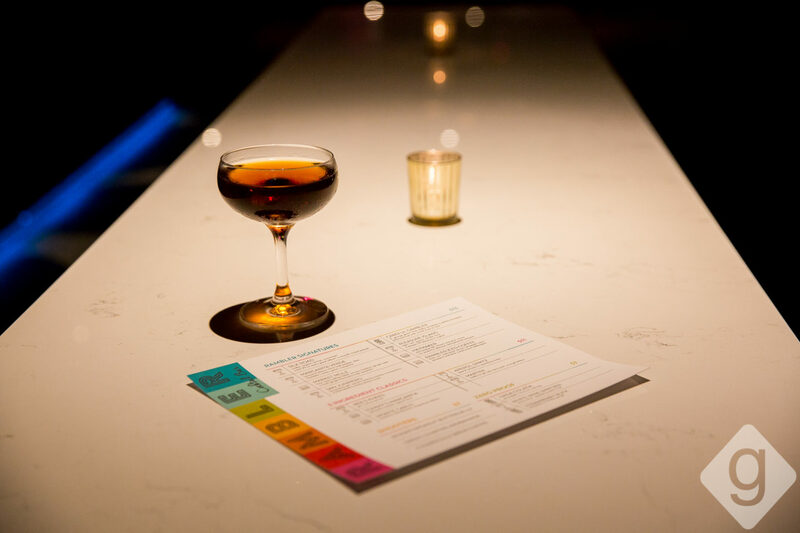 The cocktails are simple to understand, especially the three-ingredient classics. The zero proof, non-alcoholic listings are a plus, too. 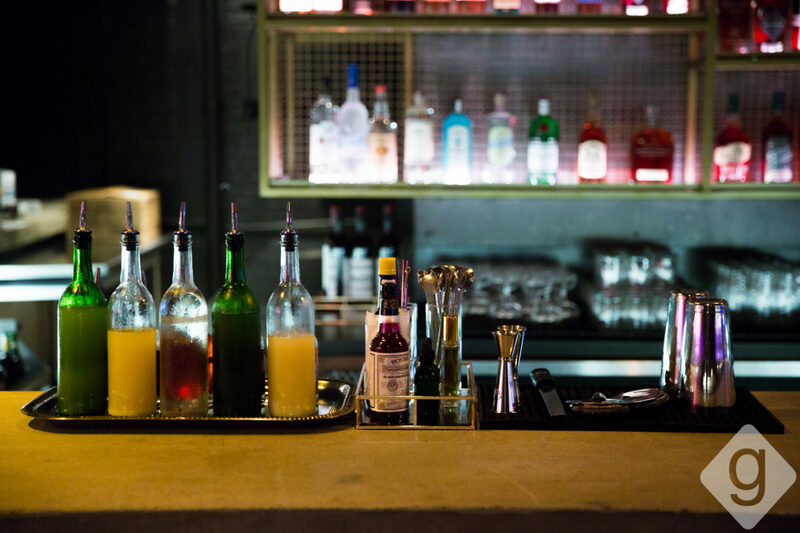 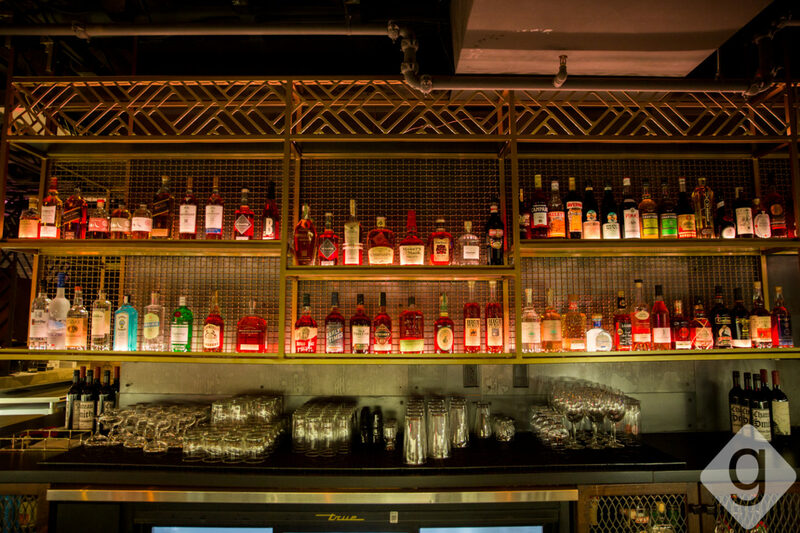 Craft beer, wines by the glass, and an extensive list of spirits are also available. Order some parmesan tater tots and bar snacks to round-out your evening. 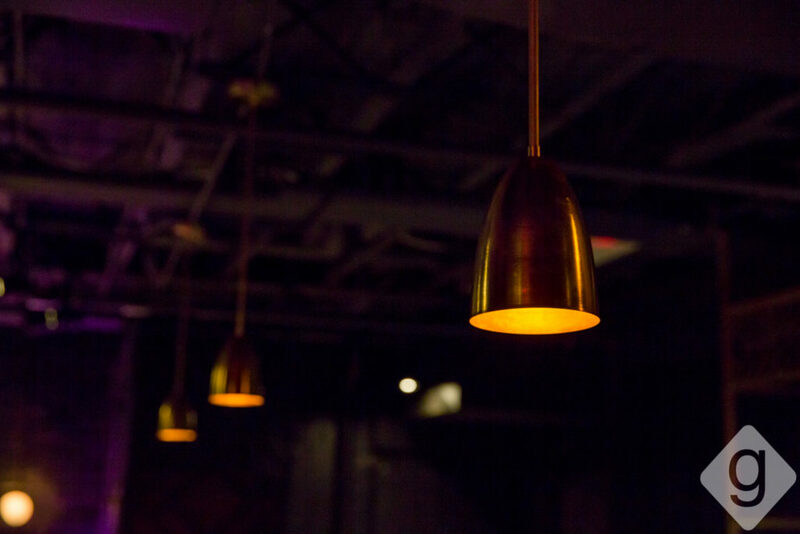 For a secretive, subterranean experience, make your way to Rambler.